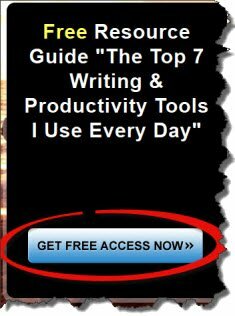 Drugs are not part of a writers resources. Don't be duped into thinking that any drug including alcohol will "enhance" your ability to write. Writers and artist of every stripe have fallen victim to this misconception for hundreds if not thousands of years. Drug abuse is the single largest cause of disability and death amongst artist. Yet drugs are pushed more heavily by and to this group than any other. Currently there is a growing movement to legalize marijuana. But you can skip the junk science, and political ramblings and just ask yourself this question. Who stands to benefit by increasing the level of drug abuse in the culture? There are only three groups. Those who want profit, Those who want control, and Those who want company. I lived my "research" in 1967 at ground zero of the "drug movement"; The Haight-Ashbury of San Francisco. I was there and witnessed first hand how the "casual use" of this seemingly innocent cottage industry opiate was shifted into the hands of organized crime for wholesale importation and distribution. The "summer of love" was really the summer of control; where apathy, disorientation, confusion and lack of will power was pumped into the minds of a generation. Half my generation was shipped of to war and the other half was shipped off to a drug induced political comma. The only thing that marijuana "cures" is ones perception of reality. Heck, it even "cures" ones desire to perceive. To enslave a population you must not only take away their guns, you must also take away their "will power". If you dis-empower the population and dumb them down enough through, drugs, mis-education, and economic pressure—they will not only slip the ring through their own noses, but do so willingly. writers resources © copyright 2010 - Richard A McCullough is the creator & editor of http://www.write-better-fiction.com the Fiction Writers source for Writing Better Fiction Faster and Selling More of What You Write.